UEFA World Cup qualifying Group A looks very exciting and there are still four teams battling it out at the top, hoping to reach Russia next year. As things stand, France are leading the group with 16 points from their 7 games played. They host Luxembourg next and should have no problem getting maximum points from that game. Sweden are in second place on 13 points and must travel to Belarus. Having just lost to Bulgaria away from home, this could be a tricky game for the Swedes and they must recover quickly to keep pace with France. Bulgaria are third on 12 points and travel to Netherlands who are fourth on 10 points. Netherlands must win this match if they are to have any chance of qualifying for the World Cup and it should be an exciting game. The match on Thursday night in France was a little embarrassing for the Netherlands as they lost the game 4-0. It wasn’t so much the final score, which was comprehensive but the way they played which left many fans disappointed. There didn’t seem to be any plan or shape to their play and following the dismissal of Kevin Strootman, they fell apart in the latter stages of the game. The performance and result will have done them no favours ahead of this match but their home record in World Cup qualifying will give them something to cheer. Netherlands have lost just 1 of their previous 21 home World Cup qualifying games and have won 11 of their last 12 on home soil. The Bulgarian players and fans will be bouncing ahead of this match having defeated Sweden 3-2 at home on Thursday night. It was a great result for Bulgaria and it means they are right in the mix for qualification from this group. Bulgaria have won 3 of their last 4 World Cup qualifying matches and have recently defeated both Sweden and the Netherlands at home. Their only negative aspect coming into this match is their overall away form. Bulgaria have lost their last 4 away World Cup qualifying games, including defeats in Armenia and Belarus. In fact, they have won only 1 of their last 17 World Cup qualifiers on the road buy have picked up draws at Croatia, Republic of Ireland, Czech Republic and Denmark. The Dutch will be without Kevin Strootman for this match following his red card in the match against France. This could see Davy Propper come into the midfield and Tonny Vilhena will also be hoping to start the game. Bulgaria must make do without the suspended Bozhidar Chorbadzhiyski who received a yellow card in the match against Sweden. Other than that enforced change, Petar Hubchev is likely to stick to the same team which defeated Sweden. Bulgaria do not have a great away record in World Cup qualifying but have been scoring goals and should give a Dutch team low on confidence a good run for their money. Both teams to score is 21/20 with William Hill. More about other bookmakers you’ll find f.e. in a Netbet Review. Despite Bulgaria being the team on the up following Thursday night’s results, Netherlands will be a tough proposition in-front of their own fans. This is the last chance saloon for the Dutch and they will be determined to get the win. 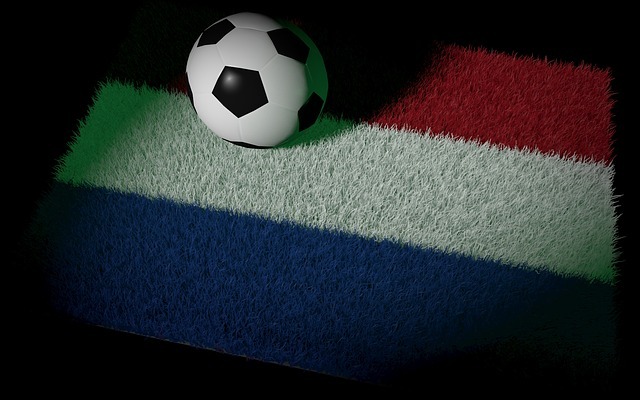 Netherlands to win and both teams to score is 2/1 with William Hill. You can also get Netherlands to win and over 2.5 goals at 4/5 with Ladbrokes.